Ever listened to a band you think could be great but just fail to reach those expectations every time? That’s Circle Of Reason in a nutshell. There’s clearly potential to be unearthed with this Southampton crew – they’ve shared stages with Feed The Rhino, Creeper and Neck Deep to name but a few, and their proggy alt-rock has previously drawn comparisons to the likes of Mastodon and Biffy Clyro. But on new mini-album Faith Or Theory, they consistently fail to live up to such lofty standards. For a release with seven tracks, there are only really about two songs. That’s because, for much of Faith Or Theory, Circle Of Reason sound as though they’re throwing several disparate, one-paced elements together to attempt to make some songs. While tracks like Questions and Tie Up The Sky are presumably meant to soar, they sound like they’ve been played with the gravity turned up – riffs come plummeting down into a low, amorphous rumble. They sound muddy and almost as though they’re simply there to fill empty space, especially on the ironically-titled Clarity. It’s completely at odds with Simon Osman’s vocals as well. He’s a solid vocalist overall – there’s plenty of power and boldness to his contributions – but he lacks the dynamism of many others in his field, only adding to the monotony of some of these tracks. Plus, he’s frequently guilty of some horrific syllable extensions, dragging this already drawn-out release even longer. To put it into context, it clocks in at just under half an hour long, but easily feels double that. It’s not even that Circle Of Reason are incapable of writing decent songs. Never Enough has some really solid riffs and grooves, especially when the pace is cut down a bit, and My Emergency even has a playful lilt to its guitar work and a chorus that’s packed with some great bounce. But these good moments are far too seldom to carry Faith Or Theory. It’s a lacklustre release that hints that, should they apply themselves, Circle Of Reason could be worth keeping tabs on. Until then, it’ll be pretty much straight-up ambivalence from here on out. 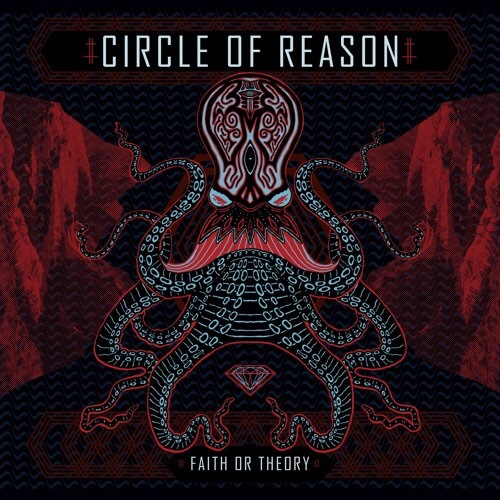 ‘Faith Or Theory’ by Circle Of Reason is released on 27th May on Freefall Records.